Since Dark Fiber Africa (DFA) first hand-pushed a pre-terminated Miniflex® fiber optic 240m from an existing manhole, through a standard 8/5mm duct and connected a 100Mbps business customer in July 2012, Miniflex has grown to become Africa’s drop cable of choice for all leading FTTH (Fiber to the Home) providers. 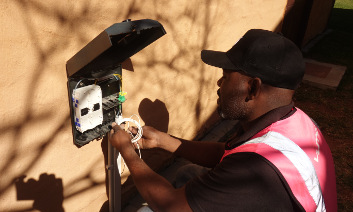 PPC Broadband has deployed Miniflex in more than 12 countries across the continent and recently passed 250,000 FTTH customer connected. The PPC Miniflex fiber optic cable has withstood all obstacles in its path, standing head-and-shoulders against any other product available in the market today and continually evolves in design to address customer requirements as their networks organically grow more complicated. The combination of greater urbanization and pressure on space means that more and more of the global population is now living in multi dwelling units (MDUs), such as apartment blocks. This adds another level of complexity for operators looking to deploy fiber to the home (FTTH)/fiber to the premises (FTTP) networks. Not only do they have to cost-effectively connect the building itself, but they also need to deliver fiber to paying customers within the building, in a timely and efficient manner. MDUs also come in all shapes and sizes, from multi-story apartment blocks with hundreds of tenants, to low rise buildings with much smaller numbers of occupants. This was the challenge that faced Liquid Telecom when it came to deploying fiber to Kenyan capital Nairobi. Liquid Telecom is building Africa’s largest single fiber network, currently stretching over 18,000km across Uganda, Kenya, Rwanda, Zambia, Zimbabwe, Botswana, DRC, Lesotho, and into South Africa. It delivers the highest quality FTTH services, with customers benefiting from speeds in excess of 100Mbps. Operators normally aim to standardize on a single fiber deployment methodology to simplify installations and reduce time to market. However, sometimes it isn’t possible to take this approach as terrain and other factors are too varied for a one-size-fits-all solution. When extending its Pan-African fiber network to Rwanda, this is exactly the issue that Liquid Telecom faced. Liquid is building Africa’s largest single fiber network, currently stretching over 18,000km across Uganda, Kenya, Rwanda, Zambia, Zimbabwe, Botswana, DRC, Lesotho and into South Africa. Customers benefit from fiber to the home (FTTH) speeds in excess of 100Mbps. Diverse natural surroundings mean that the challenges of installing FTTH in the suburbs of capital Kigali and the surrounding countryside require very different solutions. To meet these needs, Liquid Telecom has pioneered a toolbox approach to deployment, combining cable in duct FTTH with a tree and branch aerial solution. This provides the ability to select the best network design on a case-by-case basis, while ensuring the integration of these designs into the overall network. 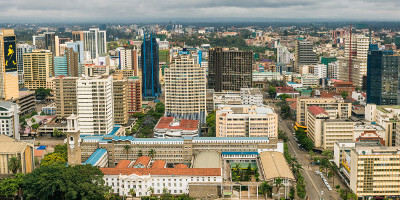 Spurring from its Pan-African backbone, Liquid aimed to deliver up to 100Mbps connection speeds to its Rwandan customers. As with any FTTH network, the key to success is being first to market, meaning that speed was of the essence, without any sacrifice on quality and performance. Furthermore, Liquid Telecom had to implement its fiber network via installers that were used to handling copper. When rolling out a new fiber to the home (FTTH) network operators have to take into account multiple factors, including potential demand, deployment difficulty and cost. However, when they have reached the point of greenlighting the project and begin to plan their FTTH network, there are further decisions to make. These choices can be the difference between a successful or failed project. Based on my experience working with operators across the world, but particularly in Africa, I'd highlight eight decisions that you should pay particular attention to. Do you take the route of outsourcing FTTH deployment to a third party or do you manage the project yourself? Ultimately, this comes down to two factors - do you have the right combination of skills in-house and how much control do you want over the process? Deploying an entirely new fiber network, while meeting tough budget constraints - all within tight timescales - is a challenge for any operator. Add in demanding environmental conditions and the job becomes even harder. That’s the scenario that Liquid Telecom faced in Zimbabwe. Liquid is building Africa’s largest single fiber network, currently stretching over 18,000km across Uganda, Kenya, Rwanda, Zambia, Zimbabwe, Botswana, DRC, Lesotho, and into South Africa. The award-winning Pan-African fiber network covers the continent’s fastest growing economies, where limited fixed networks previously existed. It delivers the highest quality fiber to the home (FTTH) services, with customers benefiting from speeds in excess of 100Mbps. Interest is rapidly growing across the African continent into new fiber to the home (FTTH) ‘last drop’ techniques that turn ‘homes passed’ into ‘homes covered’. That was the message I took away from the recent FTTH Council Africa Conference in Johannesburg, South Africa. The well-attended event, hosted in the imposing Turbine Hall, was full of presentations and discussions about overcoming implementation challenges and delivering the benefits of fiber to the home networks. Africa is part way through a transformation when it comes to broadband connectivity. Submarine cables deliver huge capacity to multiple locations around the continent’s coast, but the vast majority of the population is not yet connected. Internet use has grown by a staggering 5320% since 2000 (6 times greater than the rest of the world), but just 21% of the population is online. This is less than half the global average of 43%. Clearly there is work to do, but there is a huge amount being done to bridge this gap. Operators around the world are in the midst of major roll-outs of Fiber to the Home/Fiber to the Premises (FTTH/P) networks. Ensuring these deployments are both fast and cost-effective is critical to their success, with operators and installers looking for ways of increasing efficiency and reducing unnecessary expense during the network deployment process. A good example of a company successfully meeting this challenge is Mobily, the second operator in the Kingdom of Saudi Arabia. Mobily is currently connecting around 2,000 new fiber customers a month. FTTH implementations are carried out by external contractors, using products approved by Mobily. PPC's low risk and cost effective Miniflex fiber optic cable is one of those solutions. Detecon Al-Saudia is an approved supplier to Mobily and currently undertakes approximately 500 installations per month in the Western region which covers the city of Jeddah. Mobily typically has a ‘last mile’ connection of between 30-100m, bringing 2-Core fiber optic G652D into the house/premises. One fiber is field spliced with an LC connector, while the second dark fiber is coiled for redundancy. Over the years both of these sayings have stuck with me. However the combination of human nature and a desire to balance budgets, mean I continue to strive for a bargain. Finding the ideal fiber installation solution for Multi Dwelling Units (MDU), normally apartment blocks or hotels, is a major obstacle that carriers face as the pace of Fiber to the Home (FTTH) deployments increases to meet the ever increasing consumer demand for bandwidth. 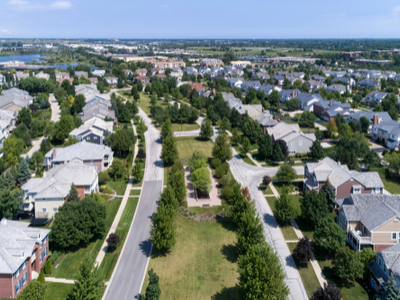 Carriers have to be able to offer the same capacity and high speeds to consumers living in MDUs as they provide to those within Single Dwelling Units (SDU). However the longer deployment time and higher cost of implementing fiber to the MDU are putting a brake on the growth for in-building connections. Currently one of the fastest growing markets for fibre is in Africa, with huge communications infrastructure rollouts underway across the continent. Organisations such as the FTTH Council Africa are increasingly active in pushing the benefits of fibre networks, while new players such as Google are entering the market. And the impact will be tremendous – consultants McKinsey predicts that the internet will add $300 billion to Africa’s Gross Domestic Product by 2025. There are two major trends driving fibre in Africa. Firstly, rollouts are building on new subsea cables that link the continent to the rest of the world. High speed networks are being extended from coastal landing sites into landlocked countries, delivering the benefits of fast internet access to an even greater number of people. Secondly, companies are using the latest fibre technology for these networks. As many countries have limited existing data network infrastructure, deployments can be built totally from fibre, extending to the home or premises, without needing to incorporate legacy copper cables. Essentially this means that African businesses and consumers can benefit from the speed and capacity of FTTH/FTTP as soon as implementation is completed.